Tags: Blue, Formal, Pishwas, Red. 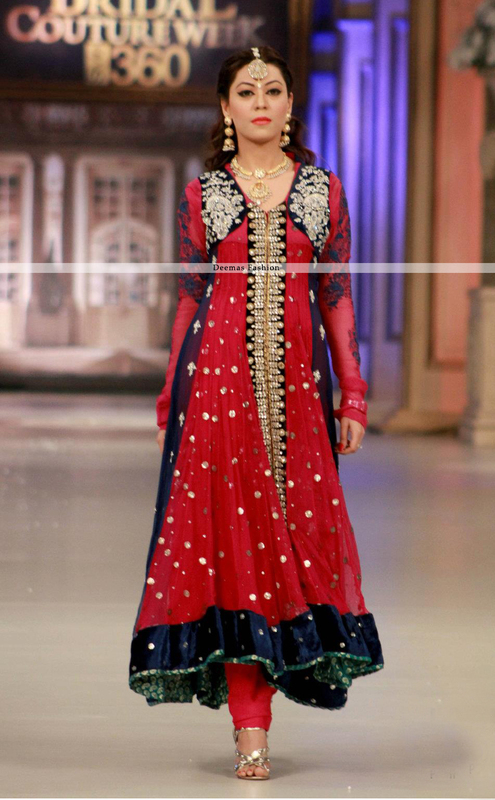 Red and navy blue banarsi panel frock with embellished applique border on the center slit of the frock. Embroidered motifs implemented on neckline. Finished with navy blue velvet. Red crepe silk churidar.